Bigg Boss is a very popular reality Indian Television Show. The starting date of Bigg Boss 11 from 01 October 2017. 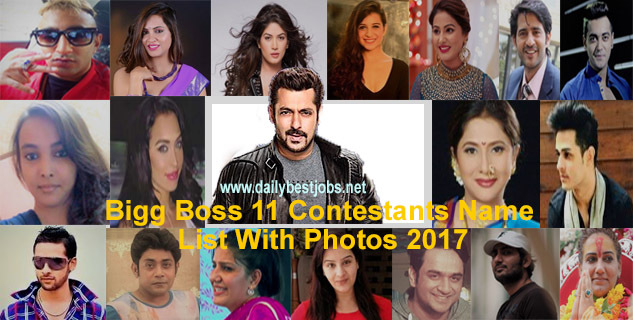 We have here BB11 Contestants Name List With Photos 2017 after the live auditions. The Host of Bigg Boss 11 still having same as Salman Khan. So, All BB Fans be ready to know the full list of all contestants of Bigg Boss 2017 season 11 with photos from here. We are sharing with you Bigg Boss 11 contestants list which is already available with us. The theme of Bigg Boss show for this year is Padosi vs Gharwale. The celebrities and commoner participated in this show for the second time in the history of Bigg Boss 11. So, below we make a complete list of Bigg Boss 2017 Contestants name with photos. At this year in BB11 house, there are 18 contestants who are participating in Bigg Boss 11 season game. From them, four contestants are neighbor (Padosi) house players as per show theme of Bigg Boss 11. Now let's know all about full details of Bigg Boss Contestant Names List of season 11 from below. The Contestants of Bigg Boss for this season are Akash Dadlani, Arshi Khan, Bandgi Kalra, Benafsha Soonawalla, Hina Khan, Hiten Tejwani, Jyoti Kumari, Lucinda Nicholas, Luv Tyagi, Mehjabi Siddiqui, Priyank Sharma, Puneesh Sharma, Sabyasachi Satpathy, Sapna Choudhary, Shilpa Shinde, Shivani Durga, Vikas Gupta and Zubair Khan. So above is Bigg Boss All Contestants Name List for 2017. 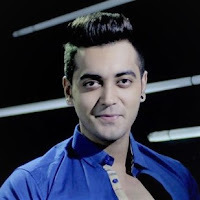 The Padosi Contestant names are Lucinda Nicholas, Mehjabi Siddiqui, Sabyasachi Satpathy and Luv Tyagi. After knowing the list of Bigg Boss 11 final contestants and all Padosi contestant names of BB11. Now, check below one by one Big Boss 11 Contestant name list with photos. He is a popular rapper who won the millions of hearts with his singing skills. He also worked with Bollywood Band 'Meet Brothers' and Sukhwinder Singh. So, now at this time, he participated in Bigg Boss season 11. Arshi Khan is one of controversial Indian model, dancer, and actress. She is from Afghanistan but will move to India when she was only of 4 years old. She is crazy and currently being a part of Bigg Boss season 11 gave a statement of flirting to create fire in the house. She is Bigg Boss 11 commoner contestant with good looking and charming personality. She is a model by profession from Delhi. 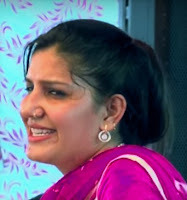 We need to watch Bigg Boss now, will she create magic in the house or not. 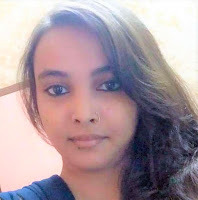 To know more about Bandgi Kalra Biography, Age, Height, Weight, Fb, Instagram and personal details, check here Bandgi Kalra. Benafsha is also named as Benn who was worked in Roadies Reality show. She belongs from Parsi Family background in Goa. She also becomes Bigg Boss season 11 contestant for this season with Priyank Sharma. 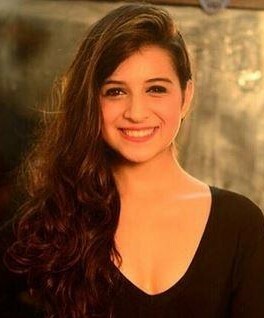 You can check out here Benafsha Soonawalla Biography, Age, Height, Weight, Fb, Instagram and personal details. 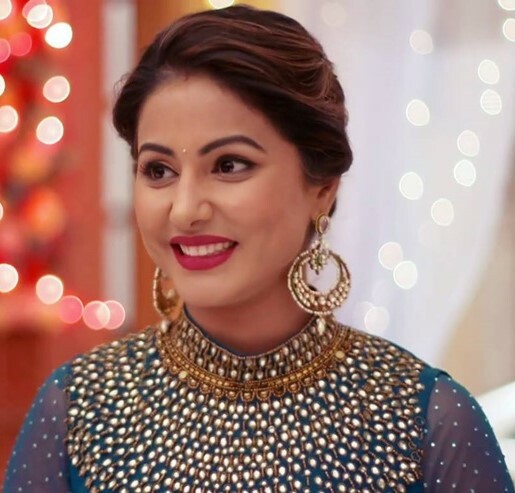 Hina Khan is an Indian TV serial actress. Recently she did participate in Khatron Ke Khiladi 8 in Spain. Now going to entering in Bigg Boss season 11 with more confidence to win BB11. Hina Khan also being a part of movies and many tv shows. 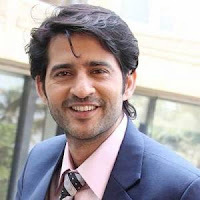 Hiten is an Indian TV Actor from Mumbai. 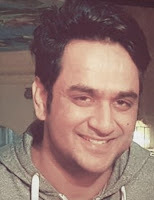 He worked in famous serials such as Kyuki Sans Bhi Kabhi Bahu Thi, Pavitra Rishta, and Kutumb. This actor is good in conversation and having sensible personality. Now, he is also a contestant of Bigg Boss 11. Jyoti Kumari is a young and good girl. She is from Bihar and one of the youngest contestant of Bigg Boss 11 house. She is energetic and straightforward speaking girl. But we have to watch now, how will she behave in BB11. Lucinda Nicholas is an Australian model from South Australia. She is one of the international contestants of Bigg Boss 11. In the house, she selected as Padosi participant. Her look and appearance are very beautiful. We will see how can she handle other contestants at this season. Luv Tyagi born in Budhana, Uttar Pradesh. His age is 25 years old. He completed his schooling from DAV Public School and graduated from BSM College, Roorkee. He is a stylish man but unmarried and still not dating with a single girl. 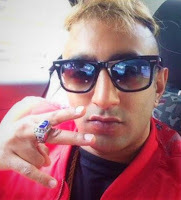 We have to watch him in Bigg Boss house about his performance later. 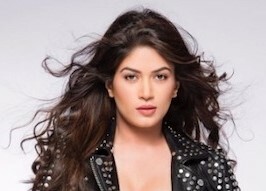 Mehjabi Siddiqui is a commoner contestant who has a special power in Bigg Boss 11. She is Padosi of the BB11 house. We are waiting to see how she can compete with other contestants. Priyank Sharma is a dashing contestant of Bigg Boss 11. Puneesh Sharma belongs to Gurgaon, Delhi. He also participated in Bigg Boss season 11. He is considering himself as a celebrity because of having money and fame. Sabyasachi Satpathy is one of the Padosi Contestant of Bigg Boss 11. 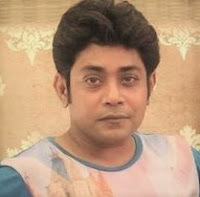 He is a fashion designer & Tv Presenter by profession from Odisha. She is a popular local dancer and singer from Haryana. Now, She becomes a contestant of Bigg Boss 11. As she is known for entertainment in Haryana and northern area but we need to see in BB11, will see a really good dancer or singer. Read Sapna dancer. Shilpa Shinde is also an Indian TV Serial Actress from Mumbai. She played role in Bhabhiji Ghar Par Hai Serial and now she is the contestant of Bigg Boss 11 season. 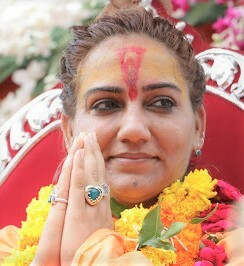 Shivani Durga is a Godwoman from Mumbai. She is commoner contestant in Bigg Boss 11 name list. After Swami Om, she comes back with Devi looks in the house of Bigg Boss. Vikas Gupta is a screenwriter in Indian television field. He also worked for many Tv shows and now part of Bigg Boss contestant. Zubair Khan is one of commoner contestant of BB11. 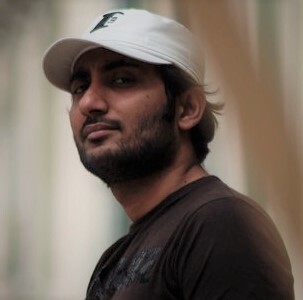 Reportedly, He is the son-in-law of Dawood Ibrahim's sister Hassena Parker. Hope you were happy to read above Bigg Boss 11 Final Contestants Name List With Photos 2017. You can also check out here Bigg Boss 11 Weekend Ka Vaar With Salman Khan. Stay tuned with us, we will provide you more updates on Bigg Boss 11. You can share this article with friends who are a fan of Big Boss on social media and keep visiting our website or free subscribe your email Id below.